Attack 1 : Just Monika. Only Monika. every pokemon, except, this card and your best male pokemon, faint. 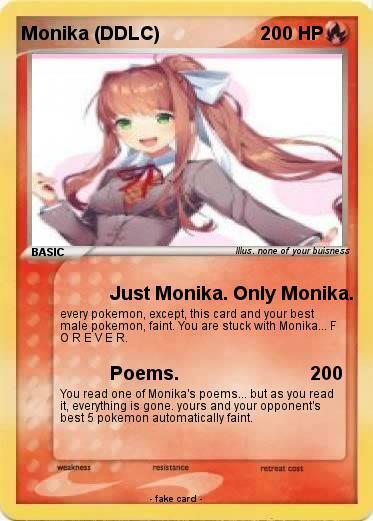 You are stuck with Monika... F O R E V E R.
You read one of Monika's poems... but as you read it, everything is gone. yours and your opponent's best 5 pokemon automatically faint.